Ho Chi Minh City’s weather can be unbearable sometimes, and a coffee to cool down just doesn’t cut it. 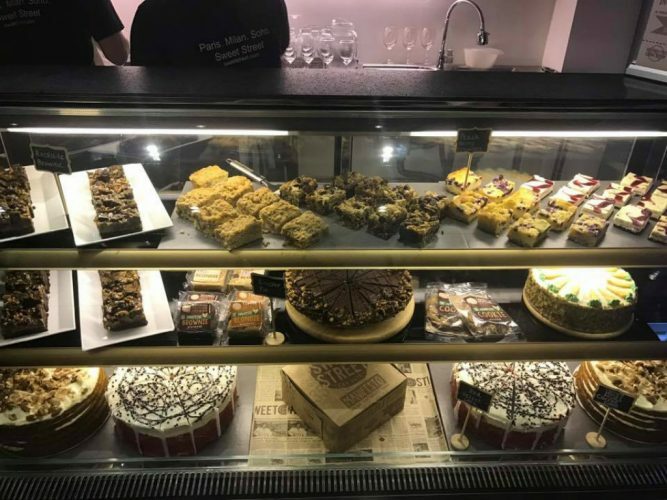 Luckily for those with a sweet tooth, there are a bunch of dessert cafes scattered around the city for some cakes, pastries, ice cream or gelato. Here are our favourites! Marou is a local Vietnamese artisan chocolate brand that has gained international fame recently for its pure chocolatey goodness. 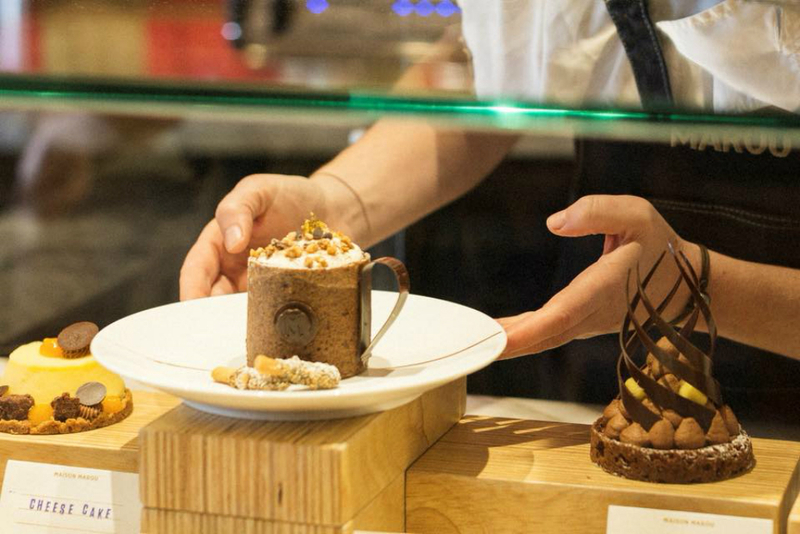 Its success has led it to set up its own gourmet dessert café in the heart of Ho Chi Minh City, Maison Marou. At this mini chocolate factory, you can order yourself all kinds of chocolate based products: pastries, cakes, cookies, and drinks. While you enjoy these, you can watch as the artisans expertly create chocolate magic behind glass windows. While each item on the menu is nothing short of amazing, the hot chocolate is the absolute must-try. Make sure to buy a few chocolate bars here as they make great souvenirs for loved ones back home. While Marou is all things chocolate, Ralf’s is all things gelato. 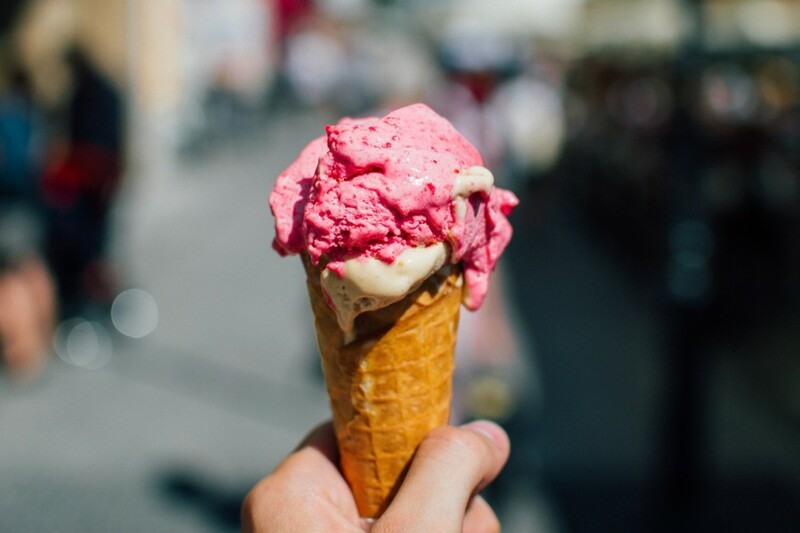 This artisanal gelato café is run by German-born Ralf, who is without doubt a gelato expert. His impressive amount of knowledge shines through the recipes he has put a lot of thought and dedication into. 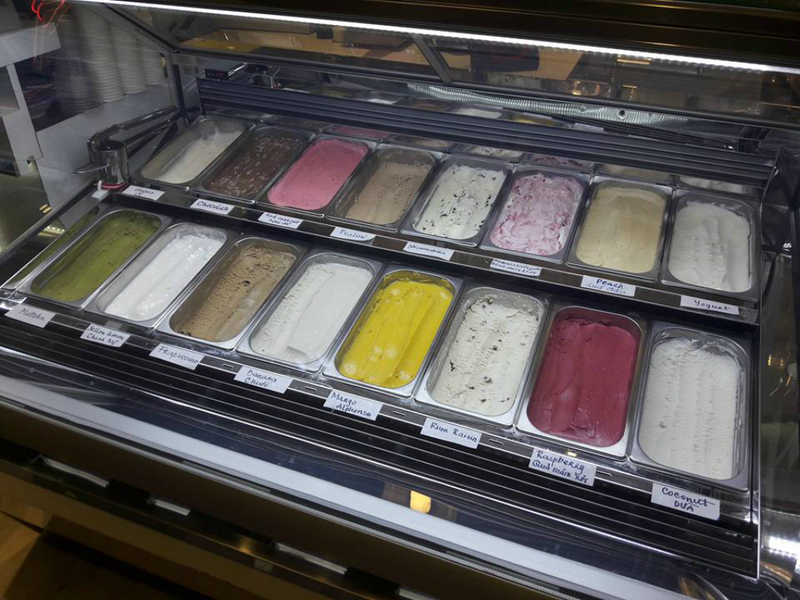 There are a range of rotating flavours on the menu at 16 at a time – and these include rum raisin, stracciatella, amarena, Hoa Vien beer and basically anything his creative mind thinks will make an interesting scoop of gelato. 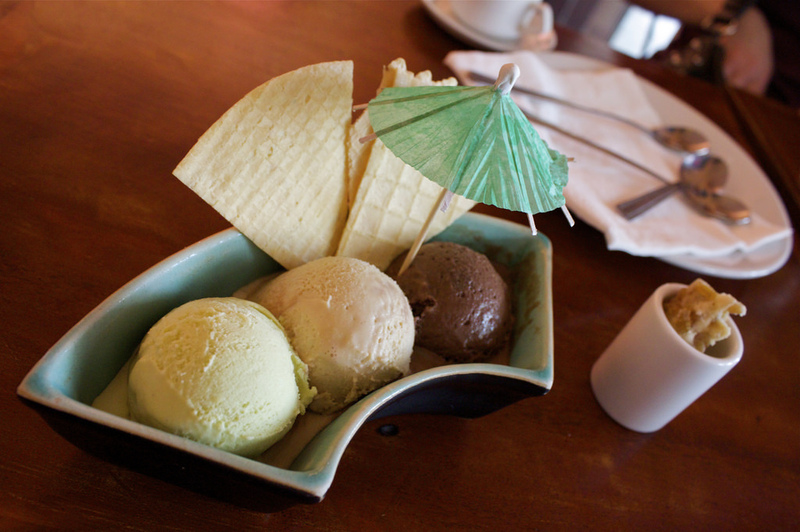 There’s even a fish sauce gelato, but perhaps the Pho Bo gelato flavour will excite you more. Ralf is probably the first ever to come up with such a gelato. The kitchen here is where Ralf runs his scientific gelato experiments and really, it’s as clean as a science lab. At VND$50,000 per scoop, the decadent gelato here makes for a fine alternative to the coffee found in almost every other shop. The location is very central too – only steps from Ben Thanh Market, down a quiet alleyway where you can get away from the sounds and heat of Ho Chi Minh City, and enjoy some cool gelato in peace. Ralf is also around most of the time, so feel free to ask him any questions and suggest flavours! This café is run by Tristan Ngo, who also owns the popular fine-dining restaurants Skewers and The Elbow Room in Ho Chi Minh City. As a café should, this place has a rotating menu of fresh, delectable desserts, including cakes, pies, cookies, and brownies. How Café Sweet Street differentiates itself from others is that all cakes and brownies are made in the US. Not only that but the ingredients are GMO-free, fresh, and from local farms. The products are then flash-freezed and shipped to Vietnam in a cold chain transportation system, and by the time you take a bite, it tastes like it was freshly made – creamy and absolutely divine. Finding this dessert café isn’t an easy task as there is very little signage. 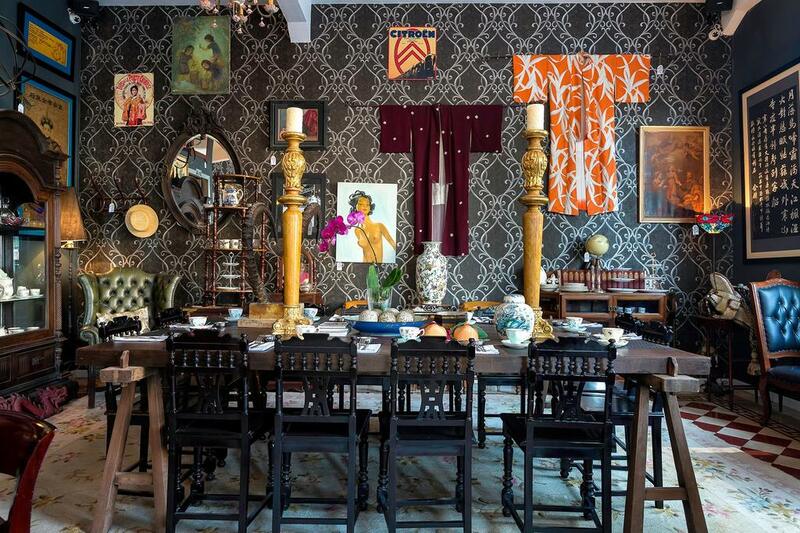 The entrance has barely any signage and after a steep stairway, you will walk into a giant room that is a mash-up of an antique shop and tea room. There is an overwhelming amount of desserts imaginable on display, and your senses will be on overdrive. The antiques and collectibles in the room are collected from all around the world, and everything in the room – the food, the plates, the furniture and the decor – has a price tag. 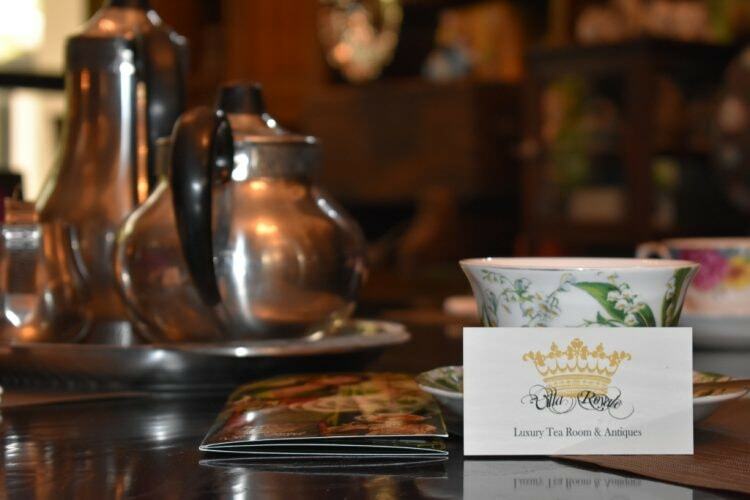 Book Villa Royale for their High Tea — you will get many cakes and canapes paired with your teas of choice. The ambiance of the café is also wonderful for a quiet catch-up with friends in style. For a moment of your day, you will feel as though you’ve been transported to a parlour in Paris or a drawing room in London. All ice cream made at Fanny are of the highest quality, with 100% natural ingredients, no additives, preservatives nor artificial flavours. The natural ingredients are imported from around the world — fresh cream milk from New Zealand, vanilla from Madagascar, chocolate from Belgium, green tea from Japan, and yoghurt from Greece. The fruits are, of course, locally sourced. You can get delicious breakfast crepes here, and even local noodle dishes, and others such as banh mi and dim sum. But go here for the dessert, as that makes them stand out. The chocolate fondue, their weasel coffee, smoothies, and milk shakes, are all popular and for good reason.